Recently I made a deliberate decision to allow myself to feel excited about books again. It’s not that books ever stopped exciting me, exactly; it’s just that I haven’t been reading all that much lately, and somewhere along the way I developed a bad case of impostor syndrome. Because I haven’t been reading, I slipped into letting any tinge of bookish excitement make me feel guilty. There are so many books out there, I thought, so many untouched ones on my shelves, so many undiscovered gems at my library. What’s the point of letting myself get excited about more books when I can’t magically pour all the ones I know about into my brain before I stagnate intellectually? Why should I be discovering more books when I can hardly cope with the ones already on my radar? Looking back, I suspect this is why I’ve been avoiding any wishlist type posts for the past few months. But you know what? I’m always telling other people not to worry about all the books they’ll never get to read; that it’s all about the possibilities, the potential, the excitement that comes with knowing life will never get dull because there’s always more out there than we could ever possibly take in; and it’s probably time I do a better job of remembering this myself. I may not be reading all that much lately, and I may not trust my ability to say anything worth saying about books; but nevertheless books still occupy a huge chunk of my brain on a day to day basis, and I doubt this will ever cease to be the case. Even when I’m not reading, I’m thinking about reading. I’m constantly making themed reading lists in my head, making notes of interesting-sounding books I see here and there, thinking of recommending this or that book to a friend it reminds me of; I unapologetically plan holidays around bookshops and sites of literary interest; I travel miles to go to bookish events. And I’ve come to realise that this, all this thinking about reading, is a huge part of the pleasures of being a reader. The amount of time that passes before I actually get to the books I’m excited about has no relevance here. If I were to let go of this, if I stopped making plans and embracing the bits and pieces of bookish excitement I experience every day, I’d feel like something huge was missing from my life. So, without further ado, here’s the latest edition of Discovered While Shelving. I have no idea when I’ll actually read any of the following books, but for the moment all I care about is that they exist, and that finding out about them makes me feel happy and excited and alive. [A] book that examines the metaphor of debt and the role it takes in our lives. (…) This is not a book about debt management or high finance, but about debt as a very old, central motif in religion and literature and also in the structuring of human societies. [Atwood] looks at the language of debt in the Old Testament - what was ‘owed’ to God, and why. She then turns to investigate debt as sin in medieval and Elizabethan literature, before it develops into a plot-driving concept in nineteenth and twentieth century novels. The debts to society and to nature are discussed in the final essay in this book as Atwood explores how debt as a metaphor affects our understanding of the environment and death. This sounds perfect for my current interests, and I can’t believe I didn’t even know it existed until now. 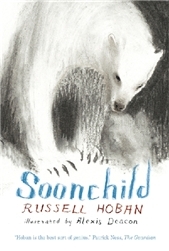 Soonchild by Russell Hoban — A beautifully illustrated fantasy novel that draws from Inuit folklore and comes with an enthusiastic blurb by Patrick Ness. Also, the same day this passed through my hands at the library my friend Heather e-mailed me suggesting it as a book we might read together soon, which seems wonderfully serendipitous. Leading social commentator and academic Danny Dorling claims in this timely book that in rich countries inequality is no longer caused by not having enough resources to share, but by unrecognised and unacknowledged beliefs which actually propagate it. Based on significant research across a range of fields, in Injustice Dorling argues that, as the five social evils identified by Beveridge at the dawn of the British welfare state are gradually being eradicated (ignorance, want, idleness, squalor and disease), they are being replaced by five new tenets of injustice, that: elitism is efficient; exclusion is necessary; prejudice is natural; greed is good and despair is inevitable. In an informal yet authoritative style, Dorling examines who is most harmed by these injustices and why, and what happens to those who most benefit. Hard-hitting and uncompromising in its call to action, this is essential reading for everyone concerned with social justice. Sounds like a perfect follow-up to The Spirit Level, and is, again, very relevant to my current interests. 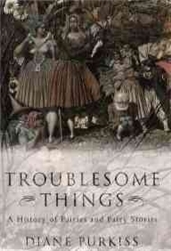 Troublesome Things: A History of Fairies and Fairy Stories by Diane Purkiss — Do we really need anything more than the title? Give me now! 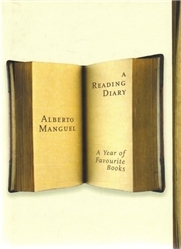 A Reading Diary: A Year of Favourite Books by Alberto Manguel — I love reading diaries. Also, it’s Manguel. 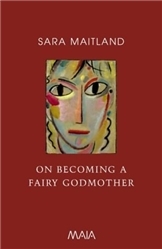 On Becoming a Fairy Godmother by Sara Maitland — Recently I had the opportunity to see Sara Maitland read from and talk about her work as part of a panel on fairy tales, and she came across as an incredibly smart writer I should be reading right now. Only a few days after that I spotted this collection at work – a series of fairy tale retellings focusing on older women. Now I only have to decide whether I should read this or Gossip from the Forest (which my fellow panel attendee Ana highlighted recently) first. Conclusion: yay, books? Perhaps thinking about reading can be a fitting subject for this blog after all. They all look good but the one that stands out to me is Injustice. >>It’s all about the possibilities, the potential, the excitement that comes with knowing life will never get dull because there’s always more out there than we could ever possibly take in. THIS THIS THIS. This year I'm having a renascence of how much I love books, and I feel a renewed sense of excitement about all the things I have left to read in the world. I'm glad you're feeling excited about books. Cannot WAIT to hear about Troublesome Things, in particular. It sounds wonderful. I was just feeling dismayed myself lately at all the long lists of titles I long to read someday and probably never will but then I decided to just delight in the fact that there are so many books out there to love! There will always be one waiting for my eager hands and eyes! The Soonchild looks awesome artwork- and I say that just from that one little cover image. So many you've just piled on to my own list, thanks!! I know what you mean. I haven't gotten excited about a book in forever. FOREVER. I think it's just overload. Some day we'll we be super-excited about books again! Oh this post is so relevant to me this year. I've been reading less (19 books so far, which is well under my usual total) but have been fixated on browsing, lists, borrowing (I maxed out my library card just so I could see a huge new pile of books in my house) and um... buying (let's ignore that one). And I have felt... kind of bad about it, like I was getting object obsessed and set on owning purposelessly. And I let myself get convinced by some quite prominent voices out there that this was huge deal, that I was poisoning my life and buying into a posionous consumerist/owning obsessed culture and that I wasn't engaging intellectually or deeply, I was just hoarding etc, etc. You probably know how some of that thinking goes. I also had no idea that Atwood book existed. WHAT? Thank you for including it in this post! I agree Ana! I won't let myself feel guilty about all of the books on my shelf that are still unread because they do represent future pleasure and I'm like you in that even if I am not reading I am always thinking about it. I find that I read a lot and then I read more magazines and newspapers for awhile at the same time I am adding to my TBR and then I get back to reading books again. It's a wonderful, vicious cycle! Yes Ana, listen to your own advice! 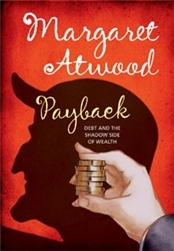 I'm excited to find out about Atwood's Paycheck which seems very pertinent as people deal with the notion of debt so differently. And Troublesome Things looks fabulous as well, amongst all the others. I absolutely love your post and especially your second paragraph, I can absolutely relate to it. I've always loved the unread books on my shelves because they are so full of possibilities!